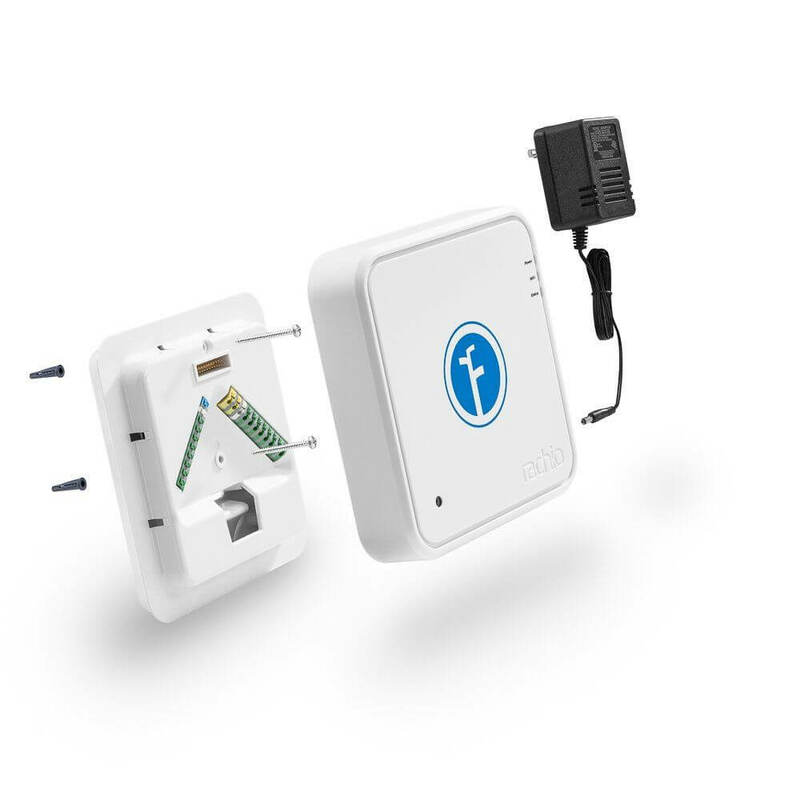 If you’re looking for a WiFi sprinkler controller to keep your lawn looking its very best, then your search may have brought you to Rachio gen 1 vs gen 2. It’s easy to see why – Rachio is a top seller for homeowners looking to reap the benefits of water savings, gain app access for their sprinklers, and customize and automate the watering schedule. But what are the differences between the Rachio gen 1 vs gen 2? We’re always interested to see the conveniences retained in a second-generation product offering while figuring out what features goodies make the gen 2 a smarter buy over its predecessor. They’re super smart and compatible with many smart home systems, like Amazon Alexa, Wink, SmartThings, IFTTT, and more. Rachio is actually my pick for smartest WiFi sprinkler controller, as discussed in comparison to the competition here. 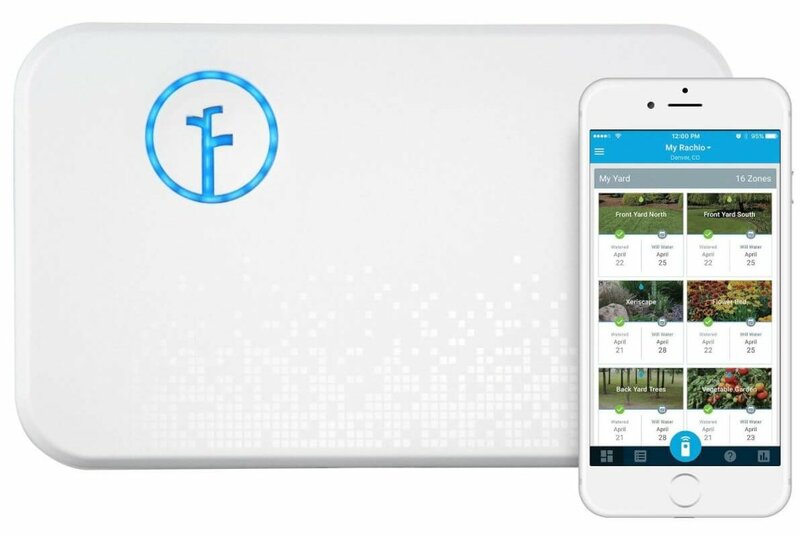 The ability to control your sprinklers via the Rachio app and choose from multiple watering modes (Fixed Interval, Fixed Days, Flexible Monthly, and Flexible Daily). An 8-zone or 16-zone model to fit your unique sprinkler configuration. EPA WaterSense certified – save up to 50% on watering costs, according to the manufacturer. This certification also makes it eligible for local rebates if offered by your utilities company. Rachio gen 2 promises easier installation thanks to more space for wires inside the unit. But at the same time, the control box is more low-profile than the gen 1 model. That’s a win-win! 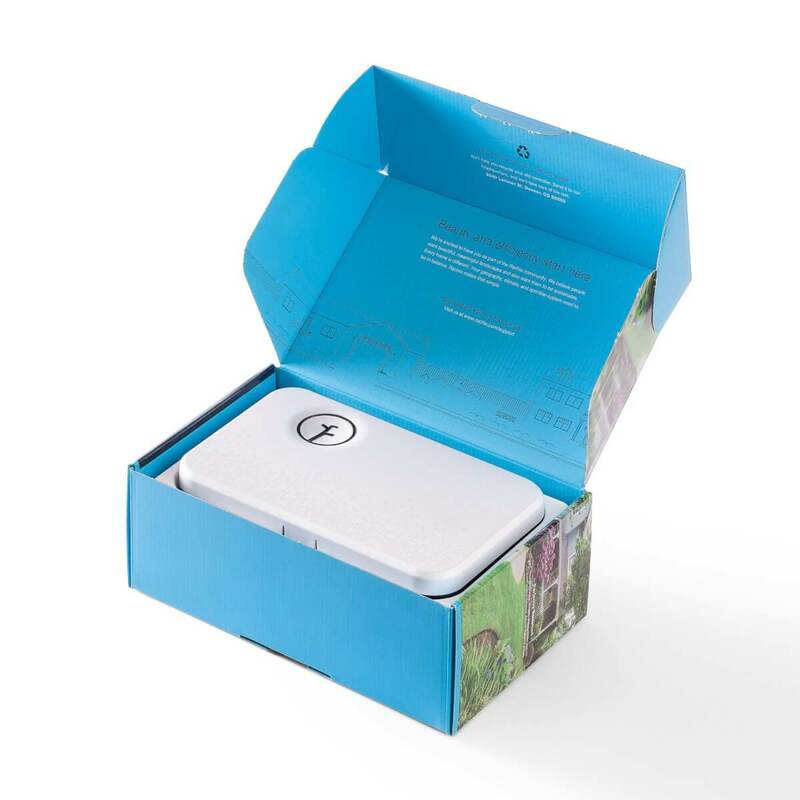 Instead of having a front and back plate, Rachio gen 2 features a single plate design, allowing for wire testing with a multimeter at the control box. This is useful if you need to diagnose a problem with the sprinkler system. The set-up process is even simpler with Rachio gen 2. The new model is discoverable by the Rachio app – install the unit, download the app, enter the serial number off your unit, and set-up is underway! We set it up ourselves and found it to be as easy as they advertised. Buttons added to the controller – allowing you to select a specific zone and start or stop watering manually. This is convenient if you don’t have a smartphone handy or your landscaper needs to check the system out. Capability to use multiple rain, flow, or freeze sensors instead of being limited like with Rachio gen 1. Protect the gen 2 Rachio with a custom outdoor enclosure specially-designed to keep the unit safe from the elements. 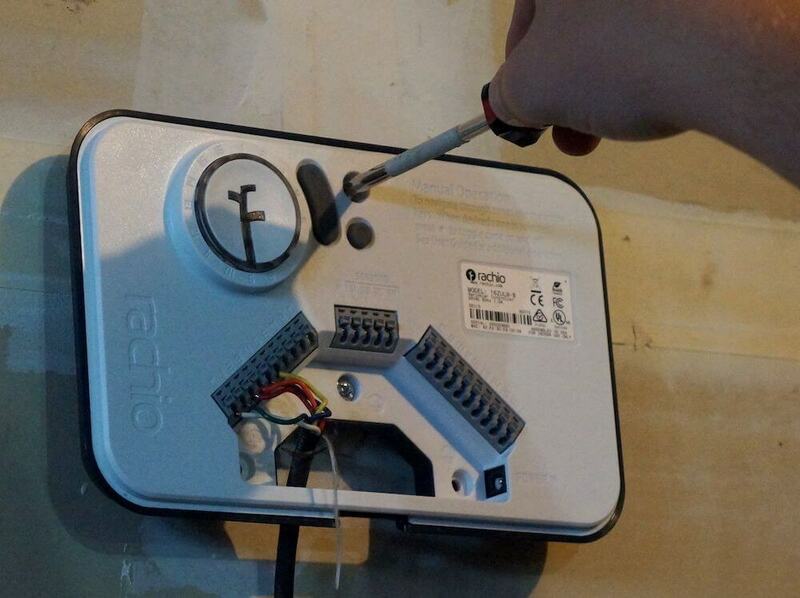 The first gen Rachio enclosure required mounting with heavy-duty tape. So, do you “spring” for the second-gen version or stick with the original Rachio? 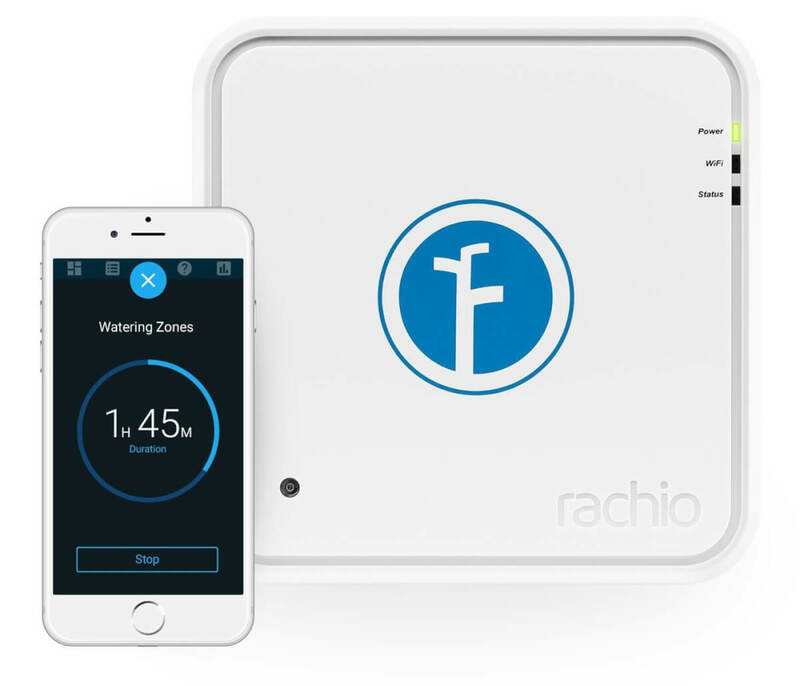 While both units retain some of the key features that has made Rachio a major player for WiFi sprinkler controllers, Rachio gen 2 is my pick if you’re looking to buy a new unit. Here’s why – the new and improved Rachio is easier to set up, offers more room for all those pesky zone wiring, and yet still has a slimmer profile. On top of that, the unit integrates two manual buttons, which is convenient if the landscaper needs to check coverage on a particular zone. You can read a full analysis of the Rachio gen 2 in our hands-on review. 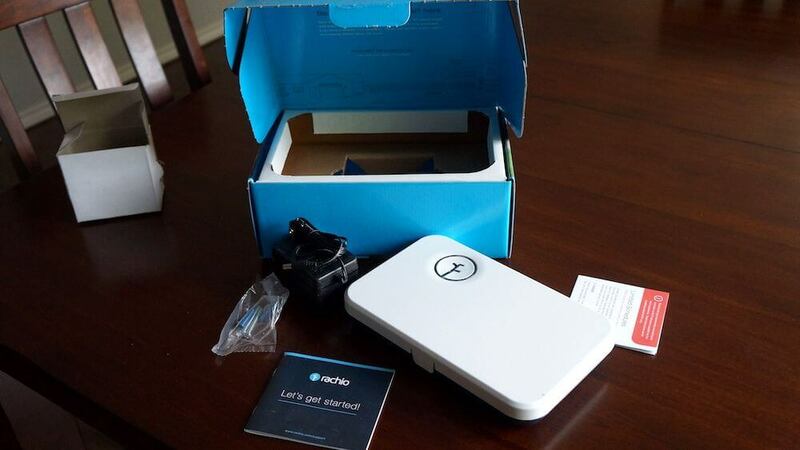 Is it worth upgrading from the first-generation Rachio to the new model – and trying to sell your old Rachio to the neighbor always complaining about his sky-high water bill? It depends on if your lawn care routine is suffering at all from the missing features added into Rachio gen 2. You’ve already installed and set up the original Rachio, so the benefits of easier installation and setup are likely irrelevant to you. But if you frequently find yourself wishing you or your landscaper could just push a button on the controller, or if you need the ability to connect more sensors, then upgrading might make sense for you. Just don’t tell your neighbor the latest and greatest improvements of the new Rachio over the old, or they may pass up your offer and buy a gen 2 as well. Still looking for more info on smart sprinkler controllers? Rachio gen 1 vs gen 2 may not be only the comparison you have in mind. If you’re debating between other models as well, we’ve done a three-way review between the Rachio, RainMachine, and Skydrop – read it here and see which unit came out the winner. Which new feature of the Rachio gen 2 do you think is the biggest improvement? Share it with us in the comments below.